Houston Rockets guard James Harden averaged 29.1 points, a league-leading 11.2 assists and 8.1 rebounds last season. LAS VEGAS — James Harden now has the largest overall contract in N.B.A. history. The Houston Rockets reached agreement with Harden on Saturday for a four-year extension worth about $160 million, giving him a total deal of six years for a guaranteed $228 million. With Harden under contract on his existing deal for another two seasons, the extension will not affect Houston’s aggressive pursuit of free agents this summer as the Rockets try to catch up to the Golden State Warriors, the league champions. The Warriors recently gave Stephen Curry a five-year, $201 million contract, which was the largest overall figure in league history. 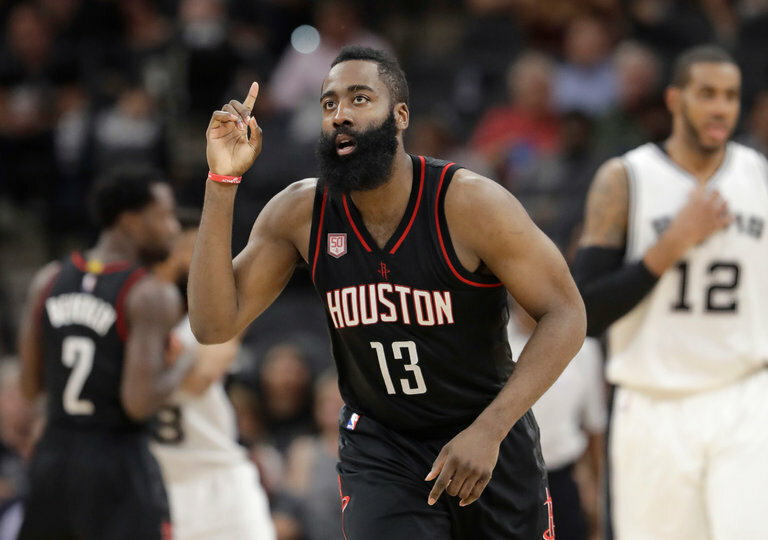 “Since he arrived in Houston, James has exhibited the incredible work ethic, desire to win, and passion to be the best that has made him one of the most unique and talented superstars in the history of the game,” the Rockets owner, Leslie Alexander, said in a statement issued by the team….